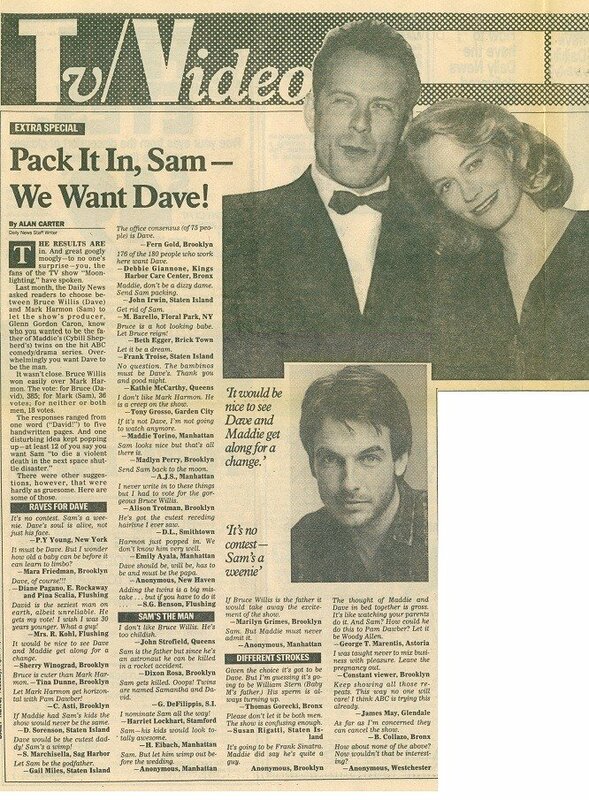 Just how hot was "Moonlighting" back in 1987? The David or Sam debate and the paternity of Maddie's baby was a hot topic of discussion around water coolers at work, on radio call-in programs, and even in newspaper polls. Here is one such poll from The New York Daily News, April 14, 1987.